Scratch 5 Machine Multi-standard, programmable scratch and mar testing instrument. Meets ASTM D7027-05, ISO 19252‑12, ASTM D5178, TAMU/Avery-Dennison Mar, Ford 5‑finger, Erichsen cross-hatch, pencil-hardness (dead load), Volkswagon PV3952, GM 14688‑A‑10N. 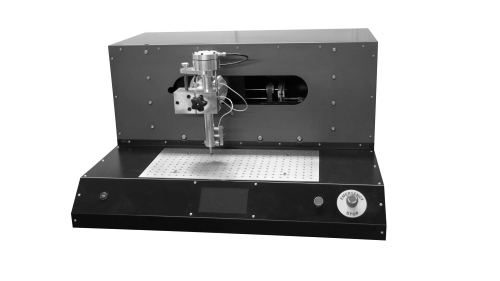 Refurbished Scratch 3.5 & 4 Multi-standard, programmable scratch and mar testing instrument. Our refurbish program takes older equipment and refurbishes it to our strict laboratory standards. 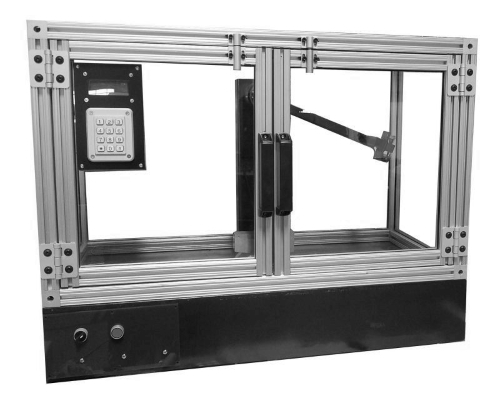 Most equipment meets the same or similar standards as The Scratch 5 Machine. Digital Izod/Charpy Impactor Multi-standard, variable-force, digital impact tester. This equipment can be configured as Izod, Charpy, or Double-Notch Charpy. It can reliably measure impacts to within 0.1% accuracy. 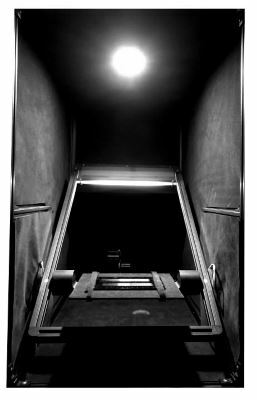 TAMU Black Box Low-albedo imaging system leveraging a digital camera and semi-specular light to optimize for mark visibility comparisons. The Black Box is best leveraged by making use of our analytical software, Tribometrics. Basic Imaging System Our affordable imaging system, based on a flat-bed scanner and color correction calibration, this system makes use of our Tribometrics software to reliably measure and compare scratches. Tribometrics This is our industry-leading software analysis and assessment solution. It leverages artificial intelligence routines mimicking the biological visual processes of humans, and is matched to panels of human observers. 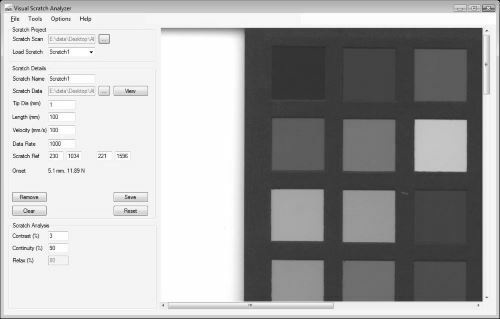 This software can be used to accurately order the comparative performance of scratch and mar as assessed by an idealized human observer. 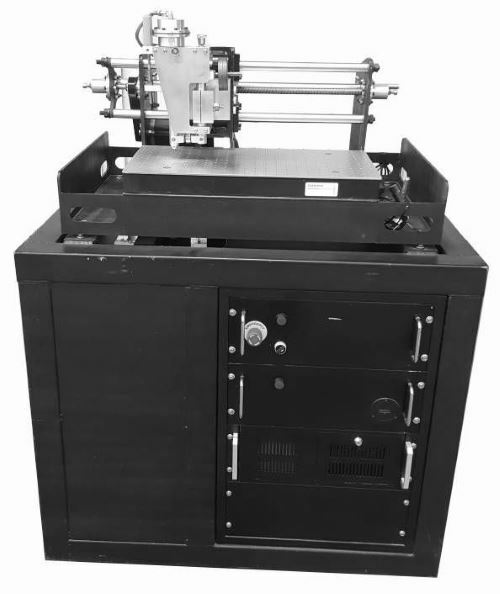 Temperature Control (Hot Plate) This plate will heat and hold sample temperatures up to 150° C.
Field Indexing (Y-Axis) Manual or automatic Y-Axis control for the machine to assist with indexing over test samples.